We specialize in small batch artisan roasting the top coffees in the world. 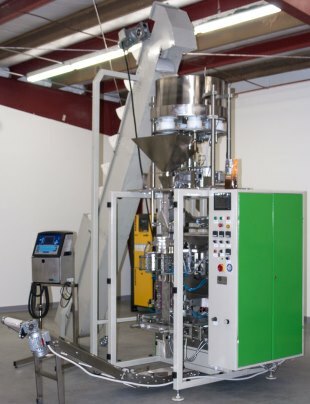 Small batch drum roasting develops coffee perfectly to achieve the best rich natural flavors. We can supply the coffee or we can roast coffee delivered by your company. Mt. 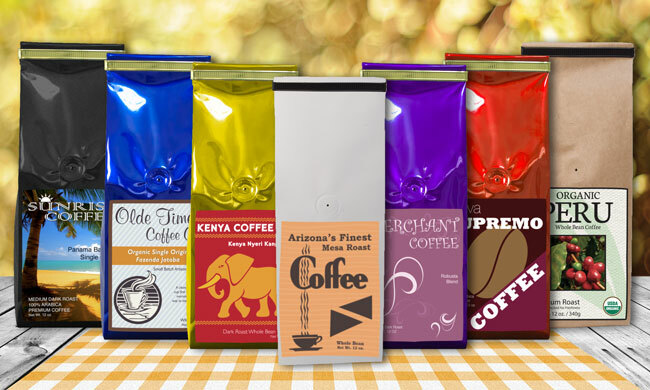 Whitney Coffee works closely with customers to develop custom packaging film that can be run on our state of art Fresco G80 quad seal form and fill machine. We can help you design a coffee blend that meets your market needs. Full color print is available with small minimums. We package whole bean and ground coffees to support your business growth. Our packaged coffees are nitrogen flushed to eliminate oxygen and ensure high cupping quality off the market shelf. We are a certified organic roaster by USDA. We can help you get approval for organic coffees to use the USDA logo on your bag. Printed full color film to produce retail quad seal gusseted bags with one way degassing valve. 12 oz. bag, 1 lb. bag, 2 lb. bag, 5 lb. bag. Pre made gusseted bags with tin tie and degassing valve. Short run digital printing or large run printing press printed bags are available. 12 oz. bag, 2 lb. bag, 5 lb. bag. Private labeling is more than the logo on your package. We'll consult with you every step of the way to help you develop a successful and profitable private label program. Our Private Label program requires a minimum order of 36 lbs., or 12 of 3 styles.